I spent an hour or so studying NGC 5139 before starting my sketch. 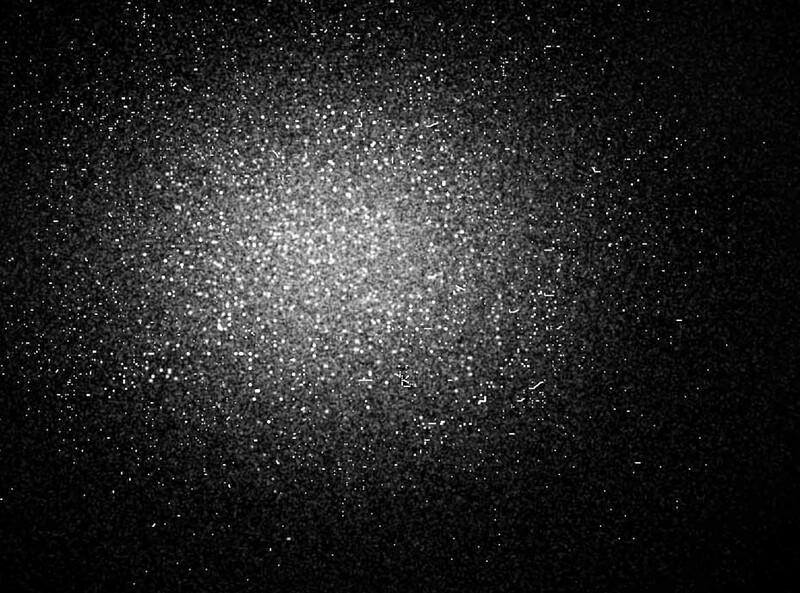 Using a 12″ Schmidt-Cassegrain at 100X, prominent stars chains, clumps of stars and mysterious dark voids made their appearance. At first glance, Omega had appeared as a rather structureless oblate globe of stars. My original graphite pencil and ink drawing was made on the evening of April 18, 2005 with rather poor seeing conditions and a waxing gibbous moon over the desert of Namibia. The submitted drawing is a Photoshop interpretation of the sketch. This is the eyepiece view of NGC 5139. Your drawing is perfwct. This sketch is so beautiful.